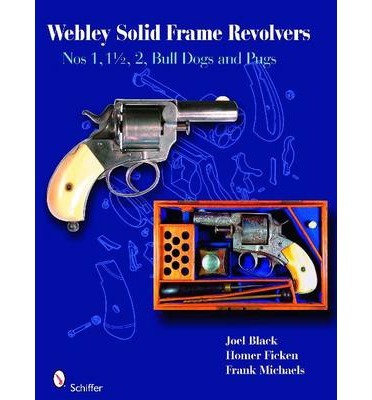 Popular from the late 19th through the early 20th centuries, the British Webley Pug and Bull Dog revolvers, manufactured by P. Webley & Son of Birmingham, provided security for many at home or concealed in coat pockets. Over 800 photos and thorough text bring to light detailed information on these often elusive, solid-frame, short-barreled handguns. Many models were previously unknown, such as the ring trigger .22 No. 2 and the Silver and Fletcher No. 2 Bull Dog. Includes Belgian and other English makers of the Tower Bull Dog, the Scott, Tranter Bulldog, and the Greener No. 5. Cartridges, cartridge boxes, and loading tools are featured with a scale of relative rarity and numerous appendices. This book is a must for all who are passionate about historical firearms.